CeraNova Corporation, a leading provider of innovative products and advanced manufacturing for cutting-edge engineered materials, has completed the process for ISO 9001:2015 Certification and received its ISO Certificate from CIC Management, LLC, on February 12, 2018. ISO 9001:2015 is the most recent standard published by the International Organization for Standardization (Geneva, Switzerland) for Quality Management. Being certified to the standard means that CeraNova’s Quality Management System (QMS) has met ISO-specified criteria needed to consistently deliver products and services that meet customer requirements and enhance customer satisfaction. 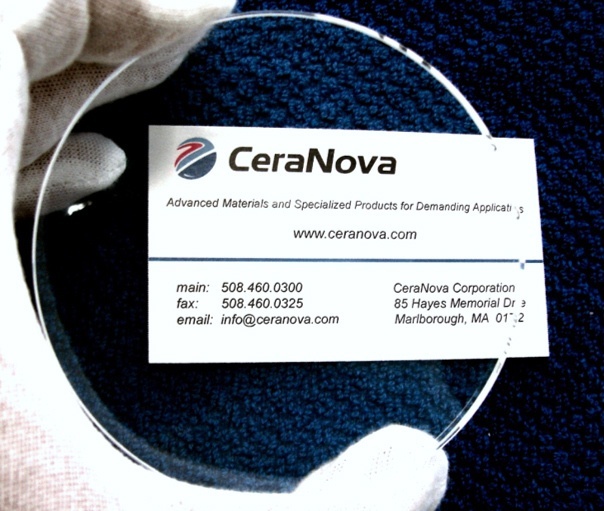 This certification gives assurance to customers that the products and services provided by CeraNova will consistently meet all of their specified requirements. In the course of delivering its product and services, the materials, production methods, inspection, testing, and record-keeping activities used will all meet certified quality processes and standards.